Island Green Power have applied for planning permission in principle to construct a 49.9MW battery storage unit in Fife. The battery storage unit will be contained within a shed designed to integrate with the surrounding farm buildings, and will be accompanied by native planting and a sustainable drainage system (SuDS). ITPEnergised supported the planning application by managing and undertaking the environmental assessment of the battery storage unit. This included ecology surveys and assessment, noise survey and assessment, and ground conditions assessment. 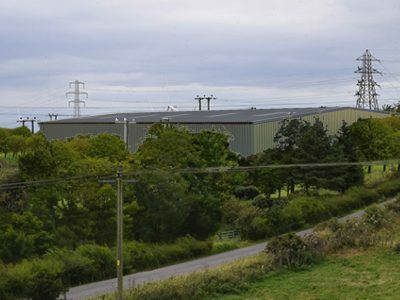 ITPEnergised also co-ordinated and worked closely with VLM who undertook landscape and visual appraisal, Cundall who undertook the traffic and transport assessment and the flood risk and drainage assessment, and Xero Energy who assessed the grid capacity and the suitability of the site. ITPEnergised also designed and produced the information boards for the public exhibitions which included photomontages of the battery storage unit.